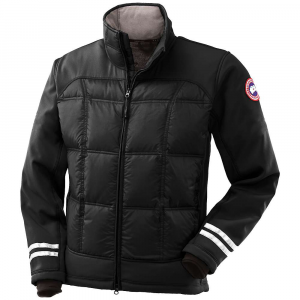 Visit Canada Goose's Men's	HyBridge Hoody page. From cold urban explorations to cross country skiing on bitter days, the Canada Goose Men's Hybridge Sutton Parka offers fundamental warmth fashioned for everyday wear. 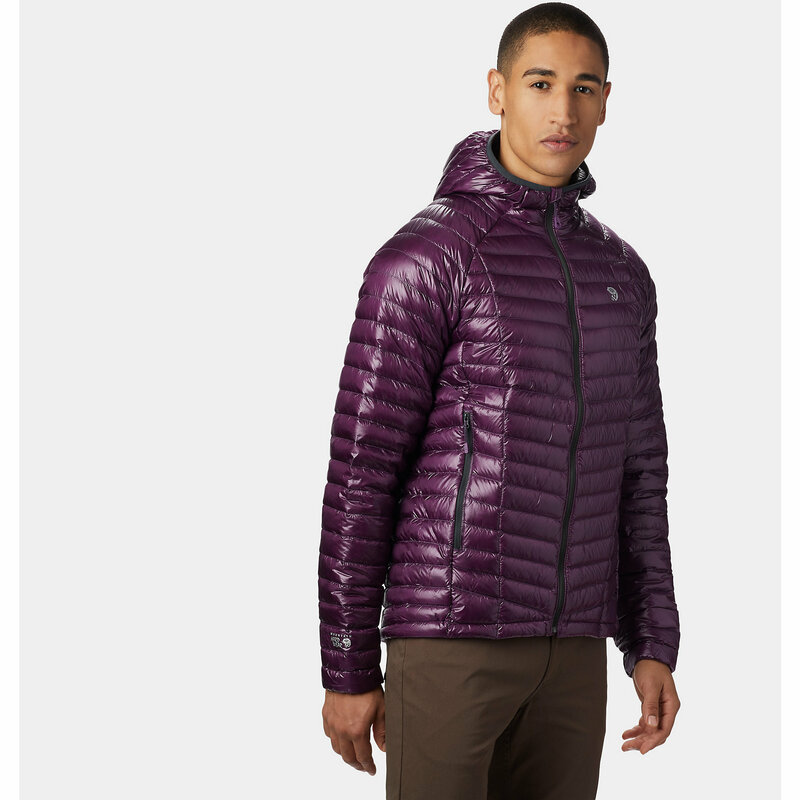 Durable, water-repellent fabric shields the jacket's down insulation from moisture, so you get reliable warmth. A waterproof hood keeps your head dry and protected when the snow starts falling before you make it home. Side panels and specialized inserts increase breathability and range of motion. 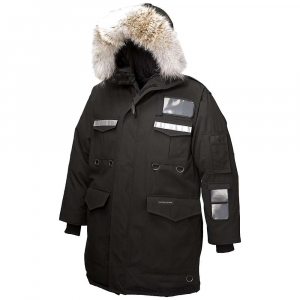 In addition to its specialized construction, the Hybridge Sutton Parka is equipped with a number of performance features to keep you comfortable no matter where you go. 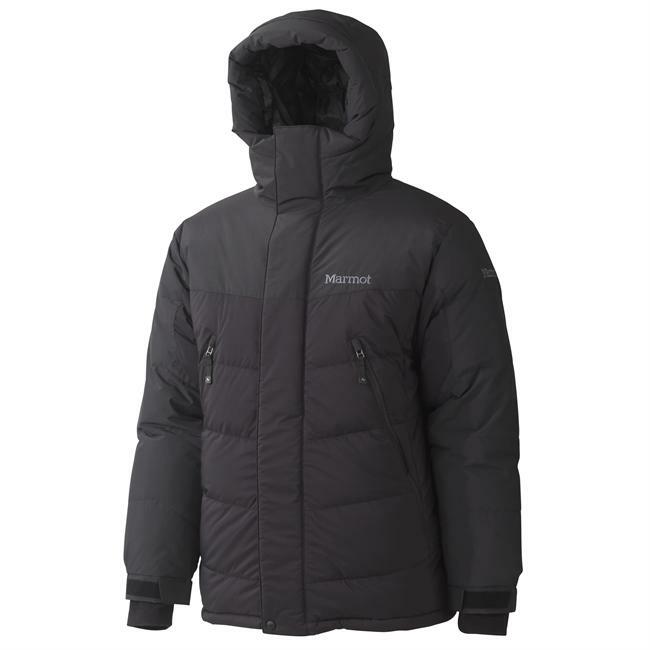 An elasticized snow skirt seals out powder and drafts to keep you dry and comfortable. Two mesh kidney pouches store air-activated Grabber warmers for critical heat on cold days. Stretch cuffs with thumbholes seal out cold and keep sleeves in place. A variety of pockets keep all of your gear and essentials secure, so everything you need is close at hand whether you're exploring the backcountry or the city. Blending the advantages of soft shell and down, the Canada Goose HyBridge Hoody leverages our expertise in down insulation while ensuring outstanding flexibility. With our exclusive Thermal Mapping Technology, we insulate exactly where you need it most. And the addition of a hood means greater protection from wind and cold. 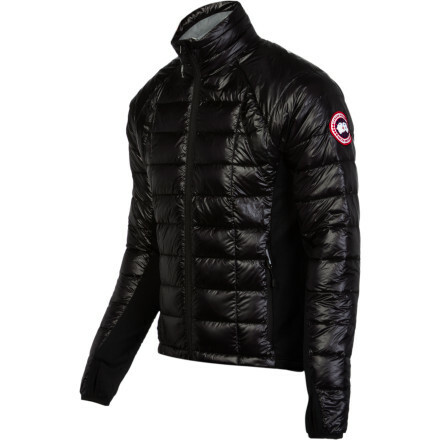 Lightweight and versatile, the Canada Goose Men's Hybridge Hoody softshell jacket is designed for maximum warmth and high performance breathability to keep you warm and moving fast. Engineered with strategically placed, gender-specific panels of 750 fill Hutterite white duck down to give you warmth where you need it most, this winter coat preserves a slim, low profile fit. Water-resistant Polartec Power Shield O fabric helps protect you from wind and light precipitation and polyester nylon lining wicks moisture during aerobic activities. Multiple zippered pockets offer warm shelter for hands and secure storage for your MP3 player or phone. 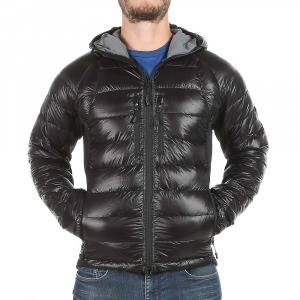 Articulated elbows and extra length in the back give you unrestricted movement for a cool weather hike, a Nordic ski trip, or showing off your moves at an outdoor winter festival. 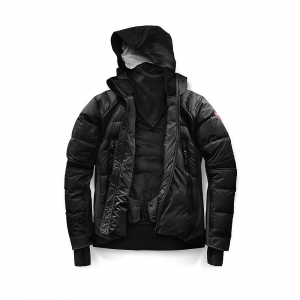 Modern design and sporty style make the Canada Goose Hybridge Hoodie for men the perfect hybrid jacket for your outdoor adventures.